In their charming Old Montreal offices, with modern style and a superb view, Worximity creates a world of smart factories. The software publisher enables their clients to improve performance by providing them with new information, thus increasing their competitiveness and allowing them to conquer new markets. 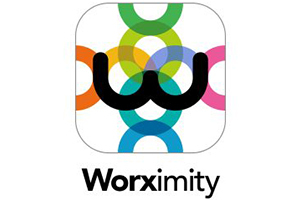 From 2012 to 2015, Worximity offered advisory services, focussing their activities since then on software products. Their CEO attributes the company’s success to the excellent work and talent of his team, which currently consists of 25 people. In the early days of Worximity, there were no manufacturing companies that worked with tablets and cloud solutions. “When I met my potential clients, I had to explain to them what we were doing, that my data was in the cloud and that in order for me to help them, they needed to buy tablets, which was, in and of itself, quite something,” recounts Yannick. This innovative approach was indeed critical for Worximity. Thanks to their cloud and mobile software, the company distinguished itself by offering scalable technology and the ability to do multiple installations, in various countries and languages.